Happy new year everyone~! 2017 was a fantastic year for our site, as we had this awesome overhaul and all our success on social media. The #Memetroid Contest is also off to a great start – we’ve had a bunch of submissions so far and will be sharing them regularly with y’all as the weeks go by. Check them all out on our social media pages or simply search for the hashtag #memetroid to see the entries thus far. Don’t forget you have until the 27th of this month to get those entries in. The sooner the better, because you’ll be increasing your chances of having others vote on your meme. New Forum: We are going to improve the MDb Message Board. This includes creating a brand new theme for the whole thing and getting everything working. In its current state it’s quite limited, so we apologize for its lacking of standard features. We hope you’ll be patient with us while we get that ready. Comics & Manga: Lots of people have been wondering where it went. Well it’s coming back but we need to make sure it will be in a format that is good enough for everyone. Our old reader was quite antequated so we’re trying to improve it considerably. Don’t forget we also have to develop for mobile site now so it’s a big job that ain’t gonna happen overnight. Music: Most of our music is available within the individual game sections. If you want to download an individual track, simply Right Click, Save Link As… We know you want the entire albums to download as a single .zip file and we’re definitely going to bring those back later in the year. Features: Finally, our features, which includes over 40 individual articles from us are coming back, but again, we are developing a new format for these pages so they can be easily and comfortably read. It’s not just a simple copy-paste job; each article will have to be hand-entered into our CMS. 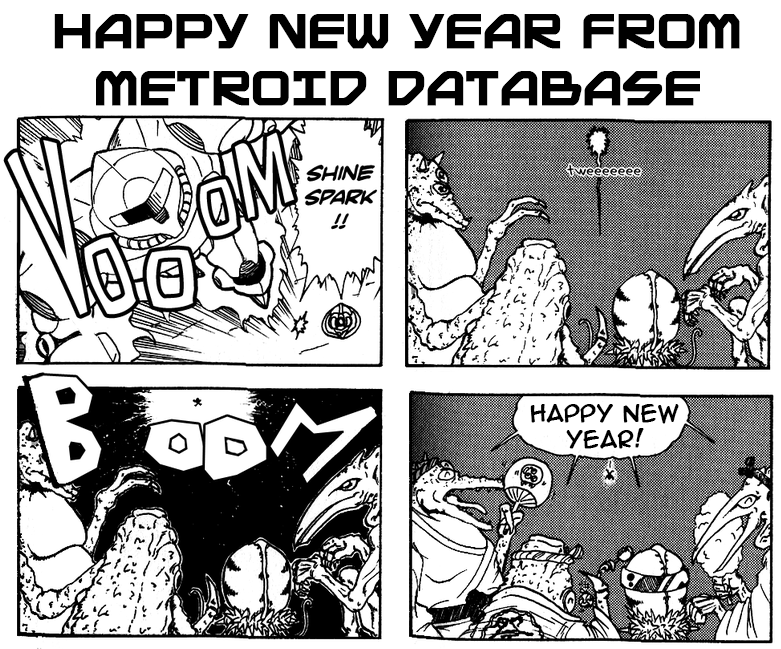 The Metroid Database is run by a very small staff exclusively in our spare time, so thanks for sticking with us and understanding that we aren’t married to this site. We all have lives outside of the MDb – we’ll definitely be back to our former glory in the coming months.